Stem cells Treatment-By now, everyone might have heard or atleast read about the buzzword, ‘stem cell therapy’. Many times, it comes into picture, when you would be reading about the possible cure for any chronic life threatening disease, such as cancer or neurodegenerative disorders. One should understand that the word can initiate number of responses, which can be credited as per the situation as well as need. 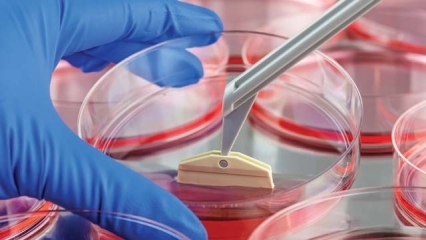 For instance, for vulnerable patients, who are not able to find out any definite cure through conventional medicine, stem cells therapy can be a hope; whereas for scientists, who are struggling hard to unlock the master key to cure, it is a sense of responsibility and a great deal of excitement about the promising future of stem cells therapy! Contrary to which, for medico-legal experts, patient’s long term safety and an ethical spirit of justice would be the priority. Thus, in order to have a better understanding of hopes vis-à-vis reality, we should certainly consider following points. The concept of repairing or regenerating internal faulty mechanisms was never new. Some animals and lizards are known as the masterminds of regeneration; remember those school time lessons? A salamander can grow his body parts again and again even after their amputation. Accordingly, we humans as well have the power of renewal, restoration as well as growth in order to be resilient to normal wear and tear of the body. With the latest research and technological upgradation this power of regeneration has now converted into a reality; through therapeutic application of stem cells. Stem cells have been detected as early as eight celled stage of the embryo; undergoing multiple cell divisions to form an entire human being in mother’s womb. These cells have thus been named as the smart, naive cells present in the niche of every mature organ throughout their development; hence, these cells indeed are the building blocks of our body with the ability to stem up into cells of multiple origins. This can be the key towards successful cure of many degenerative conditions, associated with cellular loss. Many people have been suffering from deadly, disabling conditions such as spinal cord injuries, neurodegenerative disorders, etc. Their lives are riddled with problems and are dependent on others for even bit of their happiness. For them, the breakthrough of stem cells therapy can definitely be the ray of hope; as even if they gain bit of independence, like being able to speak or show, a sense of touch towards their loved one or a control over their bowel as well as bladder- is a major advancement. Stem cells therapy involves their isolation, enrichment in a controlled environment and infusion back in the body; to promote regeneration of lost cells and functional restoration of an organ. In reality, thus stem cells therapies have certainly proven to be life savers with many hundreds of legitimate clinical studies that are supporting the efficacy of stem cells in variety of degenerative conditions. But in any case, the bridge that connects the miraculous healing properties of stem cells and their routine approved use is long as well as arduous. Thus, it is in general a priority, whether to go ahead with stem cells therapy as safer alternative after trying everything else or to wait for the approval of prescriptive legislation, limiting the translation of scientifically approved concepts into therapeutically useful services.